We have 300 parking spaces at the Eagles Community Arena, which are available to use daily unless otherwise stated at the car park entrance. Enquire at the arena reception or call 01912453880. Parking for BBL games must be pre-booked. You can find single game space booking next to each fixture on our website. You can purchase a BBL and WBBL season pass for parking on game days for £50 per vehicle, reduced to £30 for season ticket holders. BBL and WBBL season ticket holders can take advantage of preferential rates for game day parking on both a season pass or single game bookings by calling the box office on 01912453880 to enquire and book. 2018-19 Season Parking Passes are valid until after the final game of the season from 6pm until 11pm on game days only. This includes both BBL and WBBL games. On BBL game days show your card at the entry gate for access. On WBBL game days bring the parking ticket your are given by the entry gate to reception to validate it for a pre-paid exit. BBL and WBBL game VIP hospitality ticket holders please contact the club to check your parking space allocation numbers. For events at the area other than BBL and WBBL games please contact your event organiser to find out if different arrangements have been made for parking. 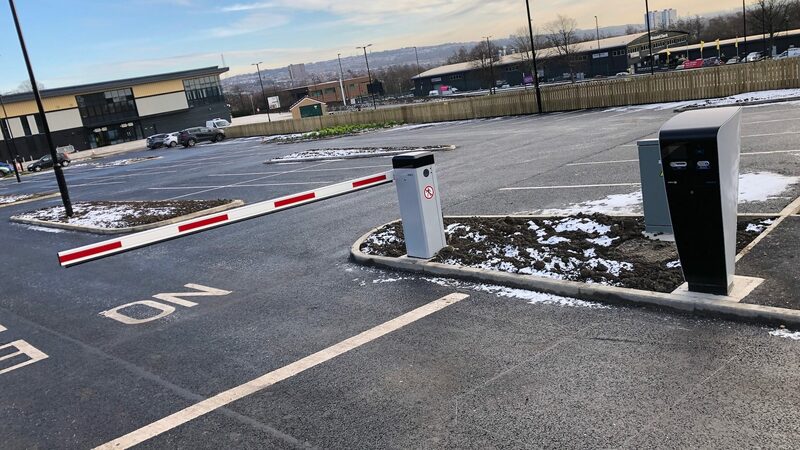 The Eagles Community Arena Car Park entrance is easy to find on the eastbound side of Scotswood Road, in the direction of Newcastle City Centre. Put the postcode NE4 7ST in your sat-nav for directions to the entrance off Clumber Street. Vehicles and their contents are parked at the owner’s risk.